This Web site has been designed to be accessible to all users, compliant with the Section 508 standards, and compatible with screen readers and other assistive technologies. However, this is an ongoing process and it is possible that some users may encounter problems accessing some pages. If you would like additional help accessing or understanding information on this site, or to receive a personalized response to your specific questions about cancer, we encourage U.S. residents to call the Cancer Information Service (CIS) at 1-800-4-CANCER ((800) 422-6237) Monday through Friday from 9:00 a.m. to 4:30 p.m. local time to speak with a Cancer Information Specialist. Deaf and hard of hearing callers with TTY equipment may call (800) 332-8615. Callers also have the option of listening to recorded information about cancer 24 hours a day, 7 days a week.  For questions about our continuing efforts to make the information on chtn.nci.nih.gov accessible to all users, or to report an accessibility problem on any of our pages, please e-mailchtn@imsweb.com.